Looking "where to sell my Aston Martin DB2?" Ask the Chicago Car Club! Are you wondering "where to sell my Aston Martin DB2 ?" The Chicago Car Club is interested in classic cars of all makes and models, especially a Aston Martin DB2. We make the process of selling your Aston Martin DB2 quick and painless. In just a matter of hours we will have your classic valued and, if you do so choose, turned into money in your pocket. All it takes is a phone call or electronic inquiry to get the ball rolling. When the Aston Martin DB2 made its 1950 debut, at the New York Auto Show, it was declared to be the finest British sports car that one could buy. It offered the speed and power of a racing car with the comfort of a touring car. It came in two configurations, a 2 door, 2 seat fastback coupe and a drophead coupe. Vast improvements were made, compared to earlier Aston Martin cars, following the acquisition of the Lagonda company. Owner David Brown incorporated the combined company as Aston Martin Lagonda Ltd. Previous Aston Martin models were equipped with a 2 liter push rod straight 4 engine. The new Lagonda engine delivered much more power. 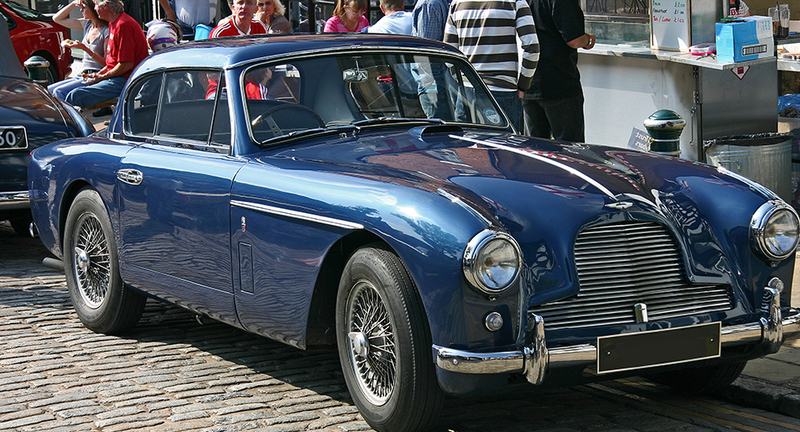 The DB2 was built with a Lagonda 2.6 liter, dual overhead cam straight 6. W.O Bentley had overseen the design of the engine, which was originally designed by William Watson from the Invicta company. This more powerful engine produced 105 hp with twin carburetors. Three DB2s were raced in the 24 Hour of Le Mans race in 1949. Two had the older 2-litre engines and one had the newer, more powerful Lagonda engine. In this ill-fated race, the Lagonda-powered car overheated and had to drop out after only 6 laps, due to a water pump failure. One of the 2-litre cars took 7th, while the other crashed, fatally injuring driver Pierre Marechal. Over the next year, the Aston Martin team performed quite well, including winning 1st and 2nd in the 1950 Le Mans race. 411 DB2 cars were produced between 1950-53. Two thirds were fastback coupes, that were a shortened version of the tube-frame chassis, designed by Claude Hill, for their popular 2-liter Sports. Frank Feeley designed the new coupe with a sleek, fastback design. 102 of the later cars were a drophead coupe. In the early 1950s, British post-war austerity rules only allowed gasoline to have 72 octane. The Vantage upgrade option boosted performance to 125 hp. This DB2 Vantage was delivered to and raced in America, where proper petrol was still available. With its sleek styling and powerful engine, the DB2 is highly coveted by collectors around the world.